May 20, 2009: Dr. Graboys read his essay for the "This I Believe" radio show on WRNI Providence. You can read his essay here. July 15, 2008: Gil Gross Program, KGO Radio, San Francisco. July 2, 2008: Interview with Jordan Rich on WBZ Radio. June 16, 2008: Interview by Tom Ashbrook and On Point WBUR 90.9. You can listen to the audio here. June 4, 2008: Interview by Dr. Kevin Keough on Psychjourney. May 2008: Dr. Graboys shared his story on NPR with WBUR's Bob Oakes. You can listen to the audio on the WBUR website. April 10, 2008: Dr. Graboys was a guest on the "Leonard Lopate Show" on WNYC, an NPR (national) affiliate. Listen to a segment on the WNYC website. 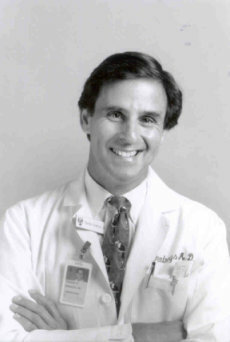 April 9, 2008: Dr. Graboys was interviewed by award-winning journalist, Judy Foreman, on her popular, nationally broadcast radio program "Health Talk Live." You can easily tune in by visiting the Health Talk Live website.